South Africa is truly a spectacular golfing destination because it has so much to offer. The climate is conducive to golf the year round, and, overall, it is a wonderful country with diverse landscape, incredible natural beauty and, of course, wildlife. Many people from across the world come to South Africa for its safaris, and I can assure you that even in the course of a normal round of golf, you are likely to come across wildlife that cannot be found outside Africa. Leopard Creek would be one of the best examples of this. It is not uncommon to see giraffes walking across the course bordering the Kruger National Park, which is one of the largest game reserves in Africa. This is something you simply cannot find in other countries. In addition to Leopard Creek, some of the courses that you should not miss are the links at Fancourt, Blair Atholl and our Sun City courses - Gary Player Country Club and Lost City Golf Course. The Middle East has transformed into a world-class destination for many things. Abu Dhabi and Dubai are really impressive places to visit, and they have been some of the top promoters of golf in the world lately. It is nice to see high-level professional tournaments taking place there, including the year-ending tournaments on the European Tour. One spot you shouldn't miss is Saadiyat Island in Abu Dhabi. From the Saadiyat Beach Golf Course (the only seaside course in the UAE) to newly built cultural and hospitality offerings such as the Louvre Abu Dhabi, Guggenheim Abu Dhabi, St. Regis Hotel and the Shangri-La hotel, there are many things that make this place one of the best destinations in the world. Somewhat unexpected might be Bulgaria. We recently designed a course at Thracian Cliffs, one of the most beautiful places I have seen in my 60-year-long career. Set along the breathtaking white cliffs of the Black Sea, this is one of the most exciting courses that we have been asked to create. A testament to the beauty of the course is the fact that the Thracian Cliffs recently played host to many of the world's greatest golfers, with the Volvo World Match Play Championship venturing into Eastern Europe for the very first time. It is not often that you find a course that allows you to see the sea from every single hole over the course of a round. 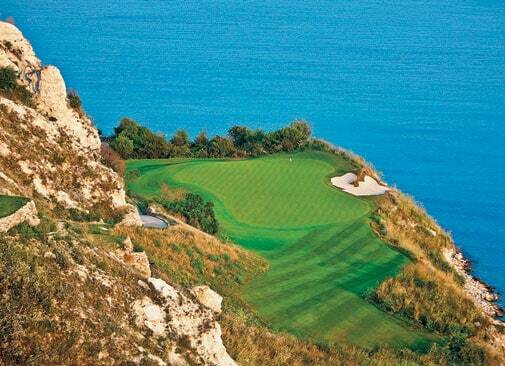 Thracian Cliffs is also situated near another Bulgarian course from our portfolio that is worth a look - the BlackSeaRama. Golf tourism in Morocco is really taking off. In that country, we have designed two great courses - the Mazagan Beach Resort and Mogador - which are truly a pleasure to visit. Mazagan is located on a windy region of Morocco on the Atlantic Ocean, and this allowed us to create a traditional links style golf course, something I love because of the different conditions you get each and every day. With a spectacular series of ocean-front holes, Mazagan is a beautiful place to golf. Aside from the golf, the vibrant culture of Morocco is something that's not to be missed. Overall, I think that places in Africa are often overlooked, and Morocco is a unique experience to be had in the world of golf. China is undoubtedly an emerging hotspot on the golfing map. Asia, including India, has been one of my favourite destinations lately, not only because of the incredible courses and facilities that are being built there but also due to the great enthusiasm for golf that's harboured by its residents. While I can see the sport growing steadily in these regions, some of the golfing spots you shouldn't miss are our courses at Hidden Tiger Golf Club, Nanjing Zhongshan International Sports Park, and the Suzhou Jinji Lake International Golf Club. 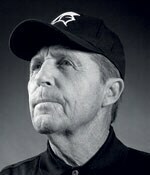 As Gary Player Design is currently working on 16 projects across Asia, many more will be added to that list in the near future, including another course at the DLF Golf and Country Club, India.